It’s not really an impossible parkour because what would be the fun of that? But lets say it is a really hard parkour (and long too) which got no possibility for an easy mode as if you fall – you die and have to start over – simple as that. In terms of the building it isn’t anything advanced as the parkour takes place in an extreme type of terrain which probably is an organic seed and nothing handmade. 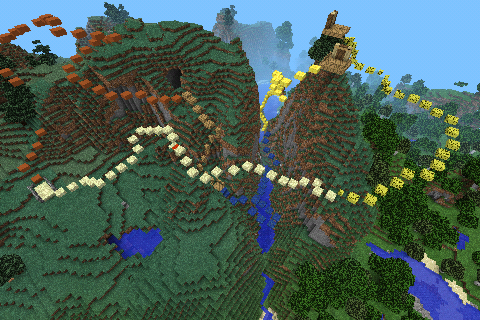 Still it’s a fun map which challenge your parkour skills on a higher level.